I’ve been forced to spend three days — in a row — at home this week, and I’ve learned some simple and interesting lessons about how staying at home can be part of the interesting, vibrant and deliberate life I’m crafting for myself. Don’t worry. I’m not sick — and I haven’t been confined to my home because of a tirade at a local shopping mall. The authorities never knew about that. Here in North Texas, we’ve had a major ice storm. Since I’m not a sports fan and I’m also not in favor of using taxpayer dollars to fund uselessness like sports, I never supported luring the Super Bowl to the area. And I think it’s ridiculous to spend thousands to attend a football game and additional hundreds to park within several miles of the stadium. I also think people who are spending $200 to stand outside the stadium and watch the game on a video monitor so this event can claim the largest attendance ever at a football game are, at the least, unintelligent. But the fact that the ice has derailed plans for dozens of money-grabbing celebrity events is slightly humorous to me. I joked in the weeks leading up to this event that I’d probably go to Abilene to avoid the massive crowds in the Metroplex (what we locals call all the little towns that make up the Fort Worth-Dallas area) — except that Abilene doesn’t exactly offer a vacationer’s dream array of attractions and amenities. I’m always home on Tuesdays and often home on Thursdays, but my Mondays, Wednesdays and Fridays out are important to me. This week, my Monday started early and was cut short because one of my cats had to have a dental problem corrected, so she spent the morning in surgery, then we had to grab her quickly in the early afternoon and head home before the temperatures dipped. I write for money on Tuesdays, and I also needed to be home to keep my sluggish kitty safe from the three other cats. Wednesday, however, I couldn’t go out because they ice hadn’t melted on the streets. And Thursday, I was stuck at home, too, with temperatures never getting about freezing and therefore taxing the minimalist heating in my house. As you read this, I hope I’m not home. Although it may not get above freezing Friday either, the wind and sunlight are improving road conditions. If you’re still stuck inside, click over to Joel Runyon’s Blog of Impossible Things for a list of 21 Ways To Survive A … Pseudo Natural Disaster. It’s a fun and interesting post with some useful ideas. And it should be in the upper 40s Saturday and the 50s Sunday, salvaging some of the planned consumerism, gluttony and ridiculousness of this long-planned weekend in North Texas. 1. Unlike in the past, I made the most of it. I actually enjoyed having time at home to do some paid writing assignments, complete some small tasks I’ve been meaning to handle and generally take life at a slower than usual pace. In the past, I haven’t always taken changes to my carefully laid plans very well, often sulking or making excuses for why I really need to be out. 2. I’m eating better because I can’t eat out. Even the convenience foods we’ve had this week — like frozen fish — have fewer calories than most meals out, and I’ve eaten surprisingly little between meals. I’ve cooked fresh meats bought Monday and baked some very nice potatoes, among other things. 3. Slight inconveniences don’t derail my life anymore. We weren’t able to maintain a comfortable 74 degrees in our home during the coldest nights, but that was okay. We could have used some salad to complete our meals, but we did fine without it. My warm winter socks have holes in them, but they worked fine with a pair of plain socks under them. 4. Time at home isn’t always time wasted. I have some friends who spend most of their time at home alone, only venturing out for a few hours a couple of times a week. I’ve always pitied them, and perhaps I still do, but this week helped me begin to shift my perspective. I’ve always thought of being at home as an necessary gap between fun events and experiences, but sometimes, time at home can be entertaining, too. How do you feel about spending time at home? I hope I’m not home when you read this. I like a variety of experiences, and I’m ready for one of them to involve looking at different walls, landscapes and people. I’m also glad that while I spent the week at my house, I’m never alone. With the human I care about at my side and four healthy cats curled up wherever there’s a warm spot, my house seems very much like home this week. On the occasions where I get snowed in, or my car is in the shop, or whatever, I usually find there’s no real shortage of things to do or food to eat. Sometimes the things to do aren’t what I want to be doing, but if they need to be done it all works out in the end. Best of luck avoiding the consumerist insanity this coming weekend! I also have cats, a lynx and a siamese. Every time I get up from wherever I’ve been sitting, they are right there, where it’s the warmest. I’ll be freezing and go check the thermostat, only to find them laying on the heater vents, the only 2 in my living room! But, they are my welcome wagon after a long day of work. And here in Illinois where it is currently 12 degrees, it’s nice to have them as my electric blanket, curling up on my lap for a little rub down. Hoo boy, this is a topic we know all too well here. I have not been out of the house since lunch on Sunday, and this is quite typical. Of course this week we’ve had the big blizzard and the area was under a state of emergency for a couple of days, but I’m not sure I would have ventured out for anything other than a little exercise at the senior center (and I still can’t believe I’m now old enough to exercise at a discount with OLD PEOPLE). Late this afternoon we will ring in the weekend with our weekly grocery trip, and tomorrow morning it’s coffee in an actual coffee shop (Steve found one where the coffee is $1.50 and really good but we don’t know if refills are gratis yet). The town is having a winter festival this weekend and I hope to get a free carriage ride around the square and to play a round of ice golf for $1, at least if it isn’t colder than 25F. I actually LIKE being at home, and both of us working here is just fine. We are in completely separate parts of the house so there is enough solitude to concentrate. We also live downtown, so we can walk to the library (free wifi) or a coffee shop if a change of scenery is medically necessary (aka mental health break). My son and his wife also live in the area and sometimes we get together for meals or coffee, as he works from home most of the time, too, and just a couple days per week elsewhere. It all depends on temperament, I guess. As it turns out, I am home today. A couple of inches of fresh snow overnight has kept us in, although a few people are venturing out of the neighborhood. Despite it still being below freezing, there’s lots of sun and some thawing, so tomorrow looks like my big re-entry into the real world. We had about 15-20″ of snow and drifts to 3′ during the storm. I was plowed out and dug out within 2 days. I find the snow to be fun and have been playing like a kid with my dog in it. I think ice storms are so much worse than snow storms. I like staying home. I’m one of those souls who ventures out a few days a week for specific errands, church or volunteering. Most of the time I’m perfectly content with my own company, a warm cat and a fluffy dog. 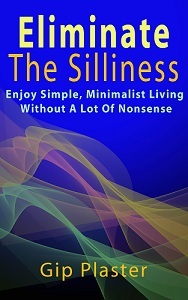 I enjoy the silence, not having a tv (don’t own one) or a radio (don’t own one) on. I am going to start using the wifi at the local coffee shop a day or two a week. The walk there and some conversation will probably be good for me. Good to have you here again, Kat. You’re right. Snow is much easier to deal with than ice. Plows don’t really work with ice, although the Fort Worth-Dallas area has 74 borrowed snow plows on the major roads this week because of the Super Bowl. That’s never happened before. No city in this area has snow plows, and the state only has them in West Texas where heavy snow fall is more likely. The area is trying hard not be embarassed on worldwide television by its lack of preparation, but it’s too late. This week, you’re lucky you don’t have a TV. I don’t watch much TV, but I like having one around for some reason. I’m glad you’re making it work for you, too. Overall, it’s been a very nice week — productive, relaxing and even entertaining this weekend. I’ve actually been trying to learn to stay at home more, and this is good practice. All the attention this snowstorm is getting on blogs & via International media Seems a bit bizarre from my persecutive being down under. Especially when I see what Australia has been through in the last month, right now a snow storm would see bliss – even if a bit bizarre in the middle of summer. But is time at home wasted? No – Do many think it is ? yes – when the answer to that age-old question “what are you doing on your day off ?” – is Nothing – or stay at home – the bewildered look of many is very amusing! Thanks for the comment, Alex. Yes, Australia does seem to have some interesting weather this year, too. The pattern is supposed to be changing to a much more settled one after this week here, and I hope that’s true for all of us. I enjoyed the time at home, much to my surprise. It looks like we may have a couple more days of this Wednesday and Thursday, and that will be okay, too. Even though I know this has been a good exercise in staying home more, I sure hope by now that you have enjoyed a day away from the house and are beginning to see a thaw forming 🙂 hang in there! I had a wonderful weekend, some of it outside — although in a heated tent. Lots of fun. We get one more blast of winter weather on Wednesday, then those who supposedly know about these things think that might be all for the year. I’m ready for spring, but I’m enjoying winter. I’m a very domesticated person. Most of my hobbies are confined in the house–playing piano, cooking and baking, sewing, reading, writing. In fact I hate it when I go outside and wait for the bus and when it turns up late it annoys me that my time is wasted. But of course I like to go outside too but only when the weather is nice and warm. Thanks for continuing to comment here, Anne. I’m glad you’ve stuck around.